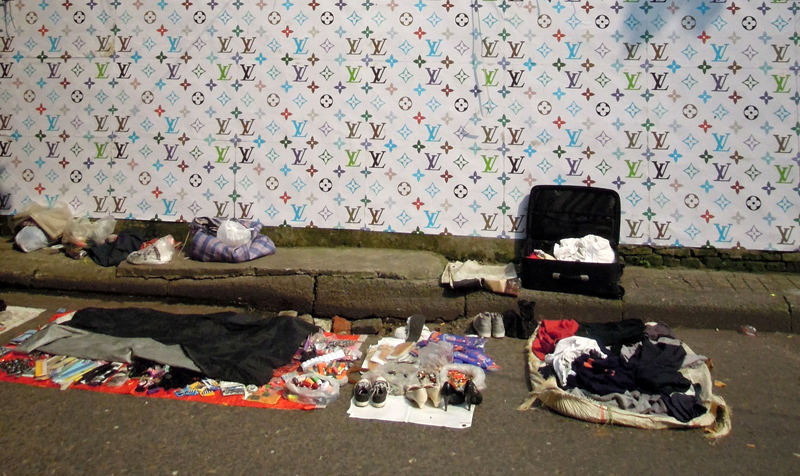 Louis Vuitton is a French luxury brand – founded in 1854 in Paris by Louis Vuitton Malletier (1821-1892) – which originally produced exclusive suitcases and baggage. 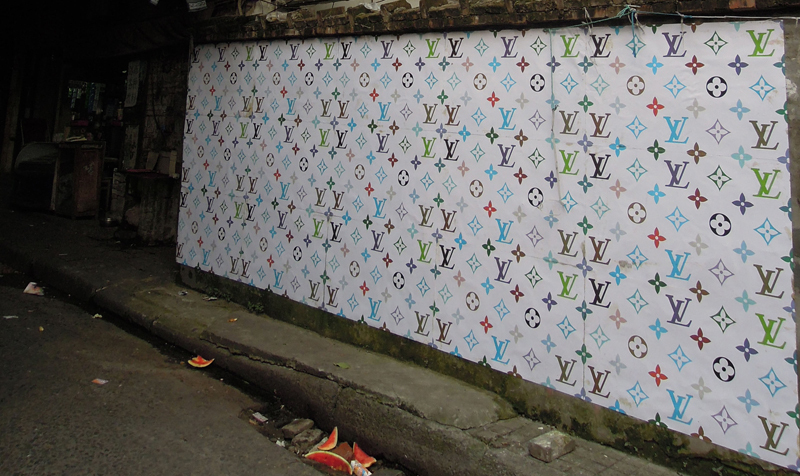 The Louis Vuitton logo I am using in this art-project is copyright Luis Vuitton. 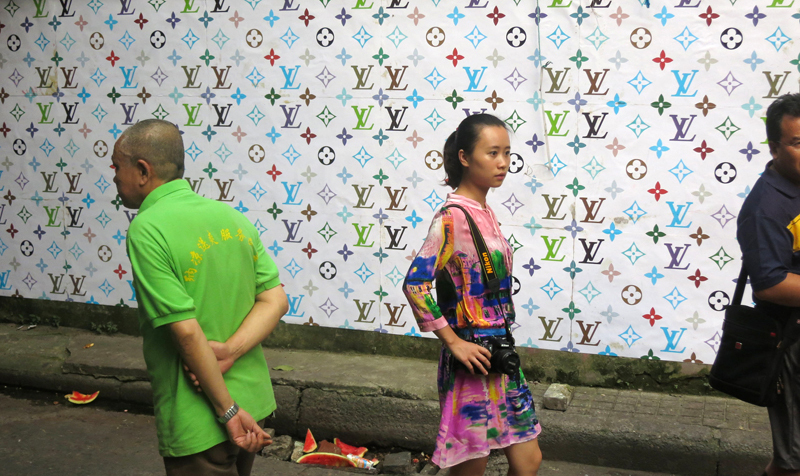 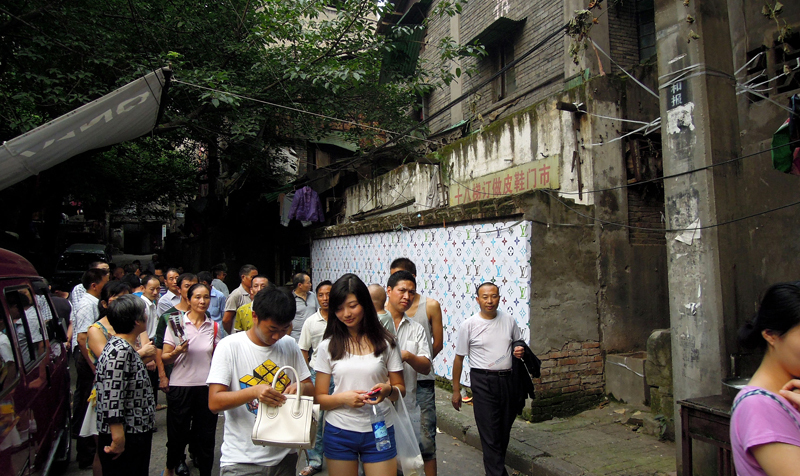 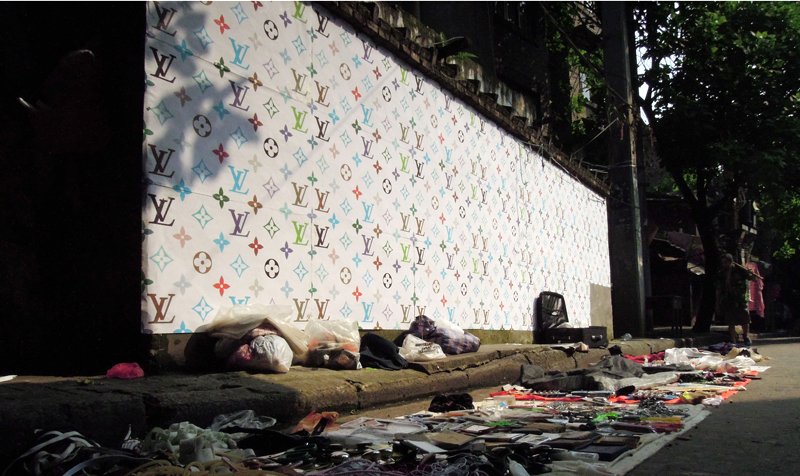 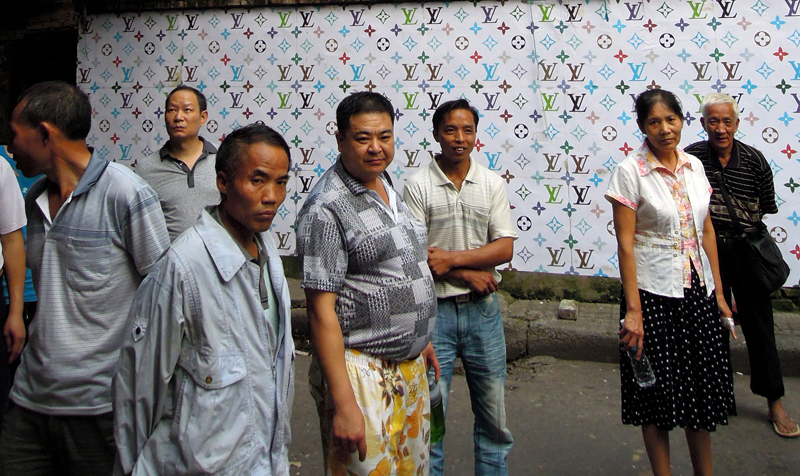 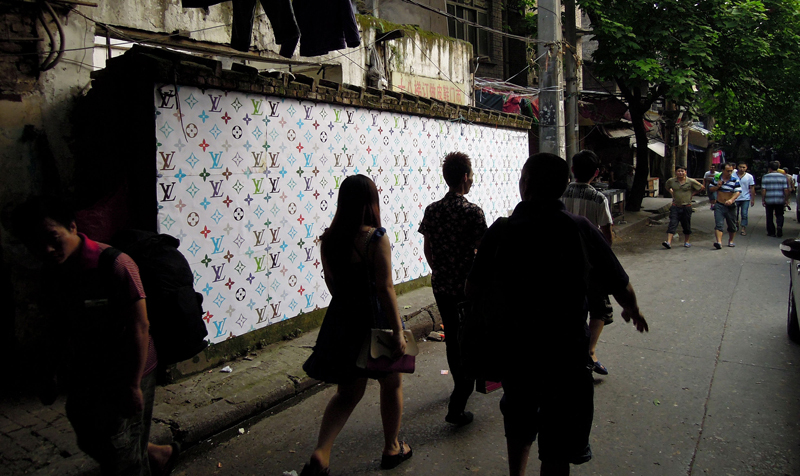 During my artist-residency in Chengdu/China I was highly interested in Louis Vuitton copies, which are widely spread in China and very popular. 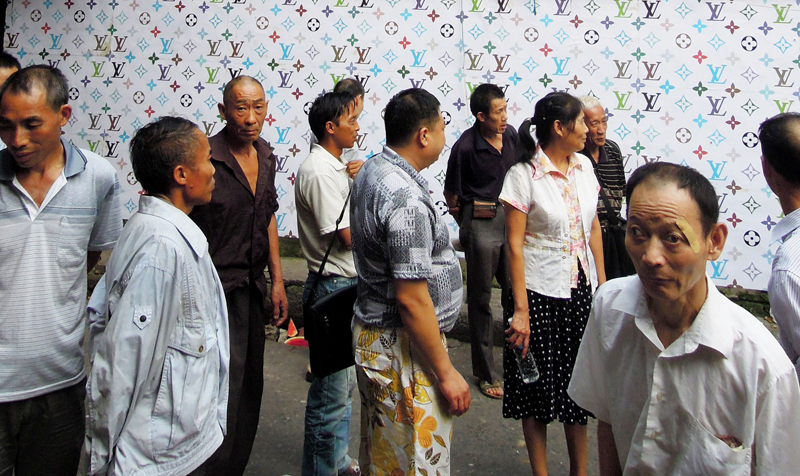 As I am a great fan of fashion and design as an attempt to communicate through the body surface on the one hand, and on the other hand suffer because of the elitism structures and ideologies which rule this business vastly – I wanted to set a sign in sense of „Louis Vuitton for everybody“, as an appreciation for Louis Vuitton copies, the joyful design and history of Louis Vuitton and the joyous use of those patterns all over the world, and against an inhuman elitism idea of society. 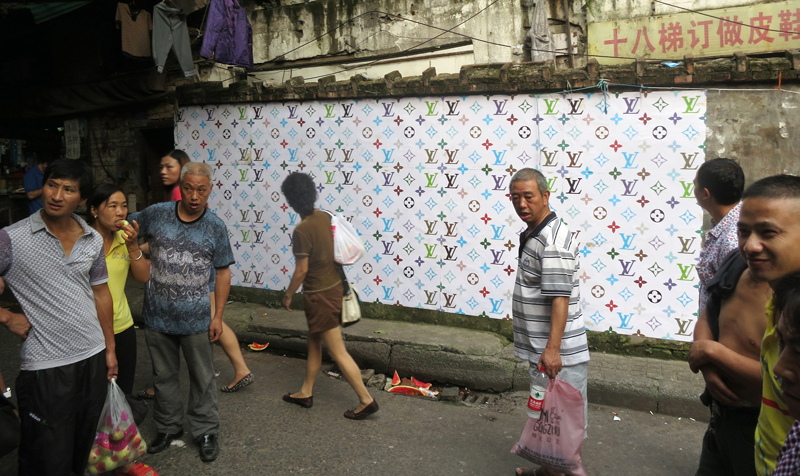 Conscious and alienated of the fact that China does not respect literary meaning I see it as an interesting gesture that people overtake the Louis Vuitton pattern all over the world to take part in something called „luxury“, something valuable that represents living something more than just surviving.